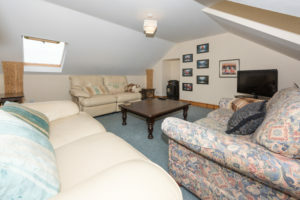 The Hayloft, an old weavers cottage, is a large two bedroom cottage sleeping 4 plus baby. 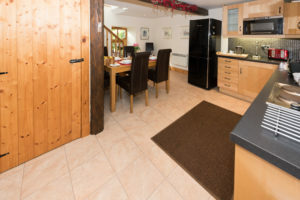 The Hayloft is our flagship cottage with beautiful traditional design balanced with modern fittings and kitchen. 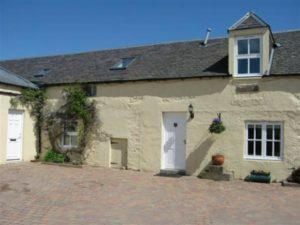 The Hayloft holiday cottage South Littleton Farm is a former weaver’s cottage located on a peaceful rural farm in Perthshire. This lovely conversion combines original character features like wooden beams with high quality modern facilities. Set in the farm courtyard, it’s a comfortable holiday house and ideal for families, especially horse lovers. Originally a berry farm, the fields are now mainly used as grazing for sheep and several rescue ponies. The Hayloft lies in the heart of rolling countryside with superb views of the Sidlaw Hills and the Strathmore Valley yet it’s still only a few minutes drive to Blairgowrie town centre. The contemporary open plan kitchen/diner with seating for six people is well equipped and includes a number of welcome touches. A door from the kitchen leads to a fantastic raised deck to the rear of the cottage and is the perfect sunny spot to enjoy breakfast or even a BBQ. The comfortable master bedroom is on the ground floor, next to the main bathroom. The second bedroom, lounge and shower room are upstairs. 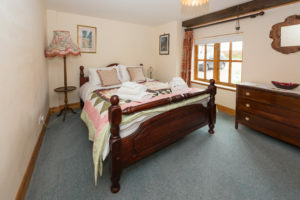 This bedroom has two single beds and looks out over the surrounding countryside. The lounge, which overlooks the courtyard, is well equipped with large flatscreen TV, DVD player, coffee table and leather sofas. 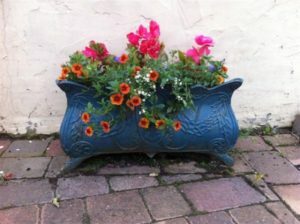 The Hayloft is a great place to chill out or enjoy the superb local golf, fishing, walking, riding, or cycling. It’s also a handy base for exploring the Glens or nearby towns like Perth, Dundee, Forfar and Kirriemuir. Master Bedroom On the ground floor, the beautiful master bedroom leads off the main tiled corridor. The bedroom has a traditional feel with original wooden beams and looks out onto the courtyard. It has a very comfortable king size bed, bedside tables, chest of drawers, floor lamp, wardrobe with mirror, and heater. As you move up the stairs from the dining area to the upper landing, you will find the twin bedroom leading from this area. 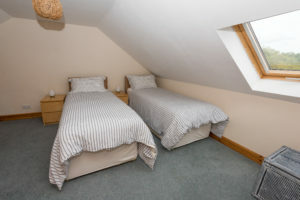 This bedroom also has a wardrobe, bedside tables and great views out over the local hills and the Strathmore Valley. Family Bathroom Off the downstairs hallway and next to the master bedroom is the newly renovated family bathroom. 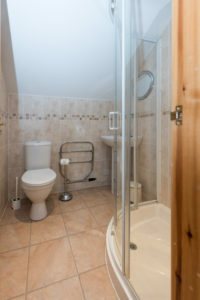 Off the upstairs landing you will find the shower room with shower, sink and toilet. French doors lead from the hallway through to the kitchen and dining area. The open plan kitchen is large and very modern. The wooden beams contrast wonderfully with the modern work surfaces, fridge and storage. The kitchen provides plenty of storage and preparation area. This room looks out over the courtyard and also leads out to the rear decking. Just off the kitchen, in the hallway is the washer/dryer cupboard. Under the stairs there’s plenty of storage and all of the appliances needed for cleaning – iron, ironing board, vacuum cleaner, clothes airer, etc.. The Kitchen leads to the outside decking area through the back door. The decking area has a table, 8 chairs and a BBQ which is great for both breakfast in the morning sun and the classic afternoon BBQs with the whole family. 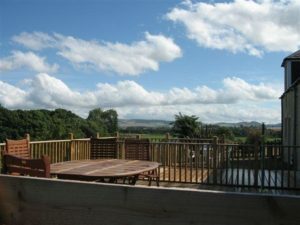 The decking looks out over the Sidlaw Hills and the Strathmore Valley and keeps the sun from the morning right through to 3pm in the summer.